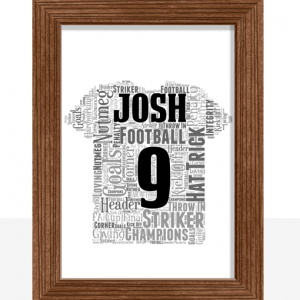 Personalised Pint Glass Word art Print for any occasion. Fill this beer pint glass with all your own words to create a custom gift. Fill this beer pint glass with all your own words to create a custom gift for any occasion. 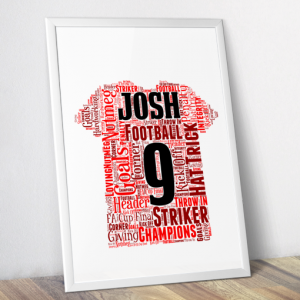 A great personalised gift from friends to give at a celebration or party. Example: Beers, Clever, Fun, Party Time, The Lads, Football Mad, Your Round, Pub Crawl, Good Times, Boys On Tour, Happy Days. 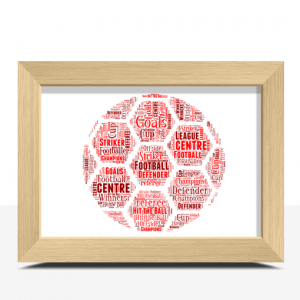 Add all your own words to create a personalised football shaped word art print. 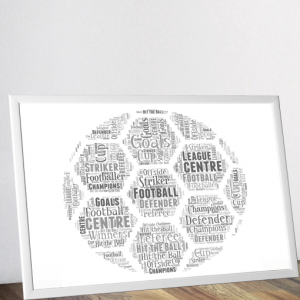 This Stag word art print makes a great keepsake gift to remember the celebrations of a stag night or weekend.